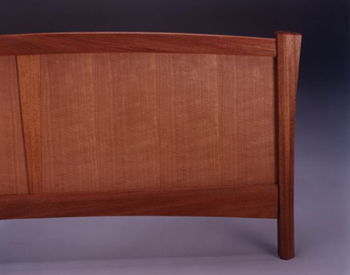 This is a frame and panel design with the emphasis on a six-sided facet and curve that is on all the posts and rails. The veneer for the plywood panels is made from anigre. I later made a coffee table for Roger, that rhymed with the design of his bed frame.